Wake up to the threat of extermination! What a wonderful way for Doctor Who fans to tell the time and be woken up in the morning! 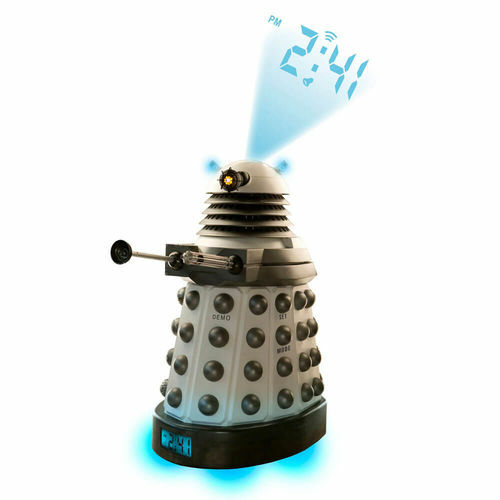 This officially licensed Doctor Who Dalek Projection Alarm Clock is sure to impress fans young and old. This guy promises not to exterminate the Doctor, instead he’ll wake you up with his unique alarm sounds! 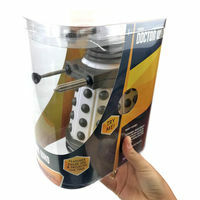 Your White Supreme Dalek (the leader of the New Dalek Paradigm) comes complete with gun and hover sound effects. 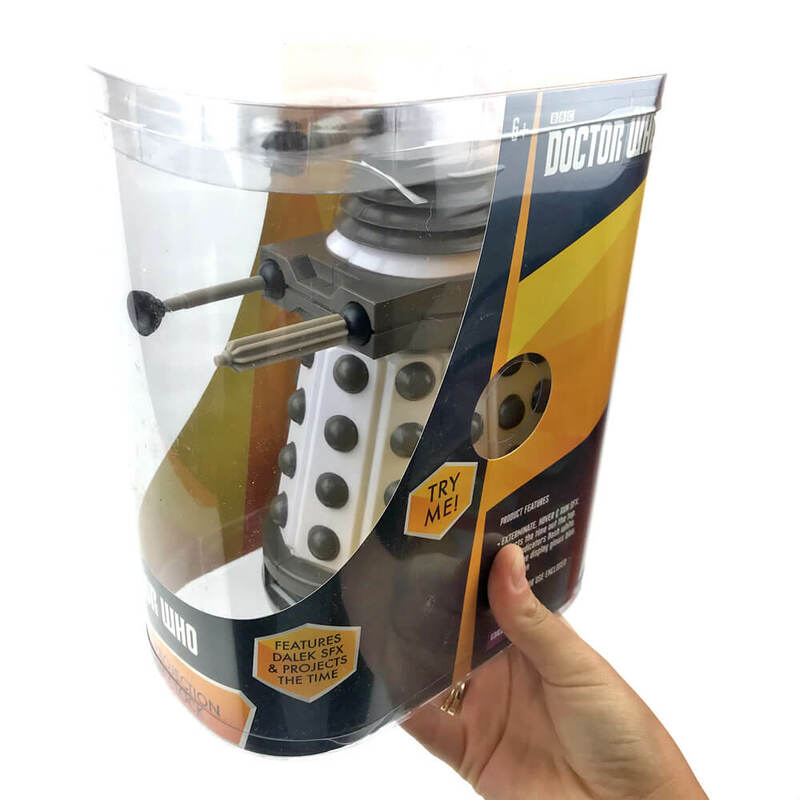 Of course, he also produces the trademark “Exterminate…” sound, and you’ll be woken thinking there’s a real Dalek in your room! As well as the front display, he projects the time from his dome head all the way to the roof, so you won’t need to roll over to see the time. When the alarm goes off, your Dalek's speech indicator will flash on his head - this daring Dalek has everything! Dimensions: 14cm x 7.5cm x 20cm.